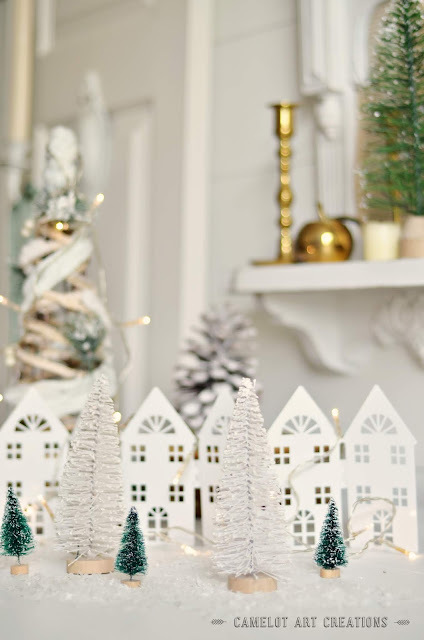 If you're short on Christmas décor don't fret! I'm sharing some tips on how to create beautiful vignettes around your home with stuff you may already have or that you can find for free! You would be surprised with what you can pull together from your kitchen! Herbs, tea cups, backing pans, serving dishes, etc! One great free option is nature! 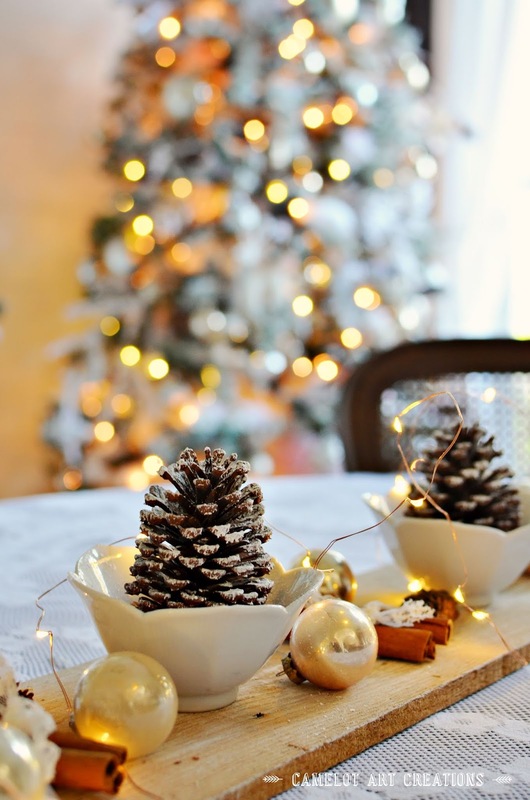 Pinecones and evergreens are in most of our yards. One way I like to use what I have on hand, is flowers and faux foliage from other seasons. Mixing in some flowers from past season like Fall or Spring. 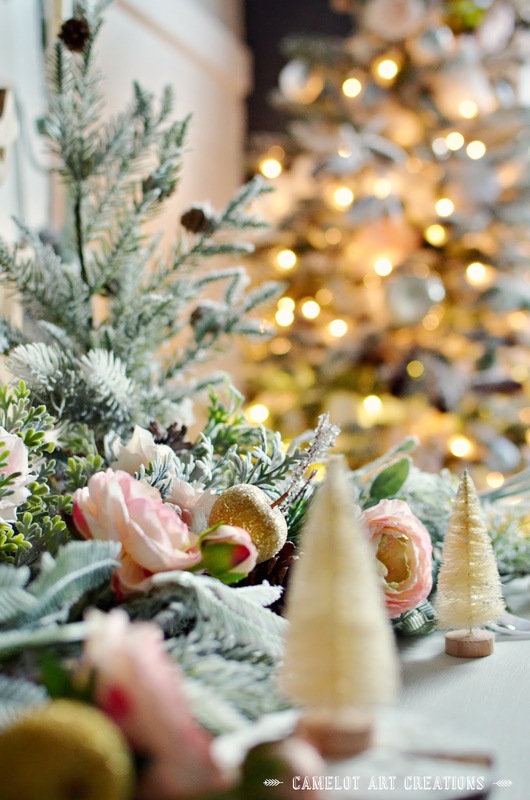 Magnolias are great during Christmas and I used some of my soft pink Ranunculus and pale green Dusty Miller to make my winter garland fuller here. You can just gather up like items and group them all together. Mini houses, bottle brush trees and brass. You could even create trees out of pinecones, do all different sizes and group them all together. Going through our kitchen I've always loved these flower petal serving dishes and just placed pinecones in them. Sprayed some fake snow on them from a can. By layering them on a plank of pallet wood it helps add interest, FREE! 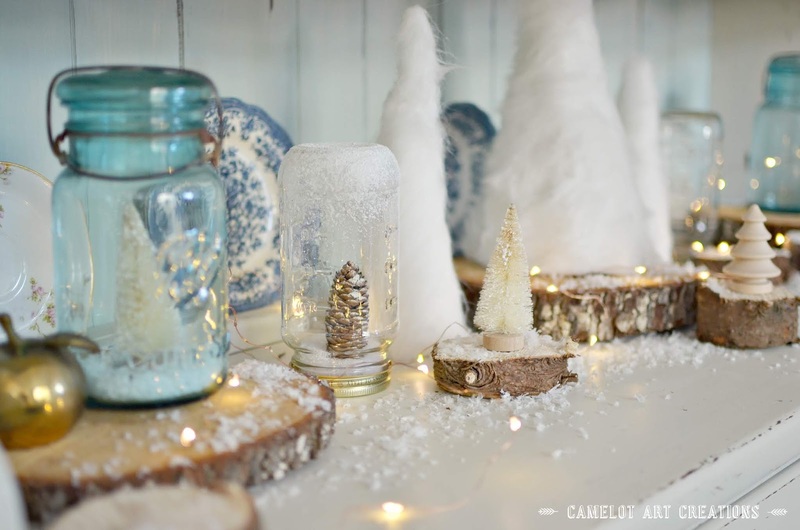 For a snow globe bottle brush tree village I used old spaghetti jars, Starbucks Frappuccino jars and some of my vintage mason jars. The smaller tree discs are from Home Depot and are free in the tree trimming bin! 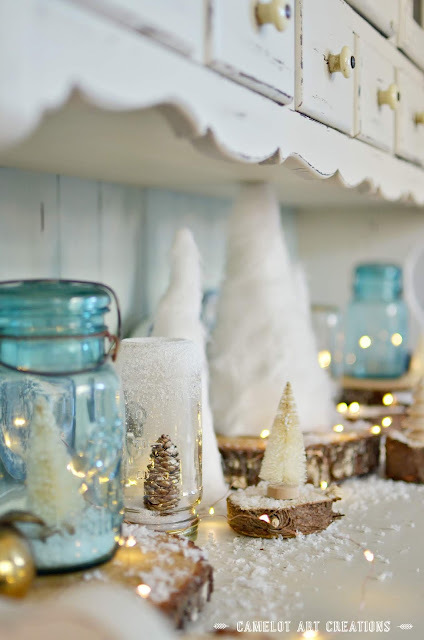 I used more the spray snow in a can and misted the bottoms of the old spaghetti mason jars. Adding the tree logs just add texture, height variations and color. I didn't have anymore bottle brush trees so I used a skinny pinecone in the spaghetti jars. Our Christmas advent candle centerpiece came together by using one of my bunt cake pans, filled it with plastic grocery bags to about 3/4 of the way full. 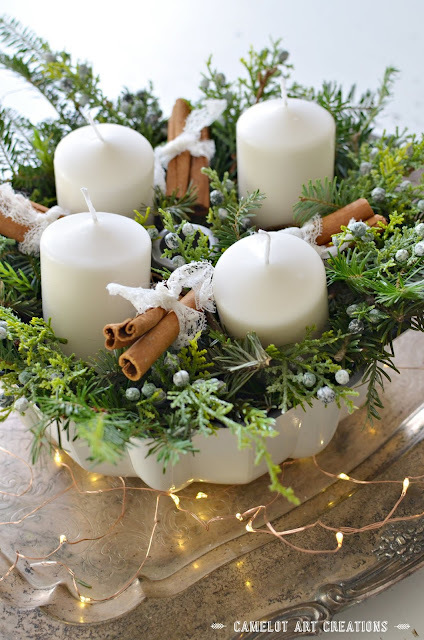 Then just layer in free greens from your yard or free tree trimmings from Home Depot, add some cinnamon sticks bundled together with lace, twine, rope or ribbon for a added extra detail. Again layering with a vintage silver plater. Hope this helps give you some ideas of using stuff you might already have in your home or outside this holiday season!